Leonard brings a unique insight into the arts taught at the Trident Academy having come to us from the Inosanto Academy in Los Angeles, where he was a student and a member of the kick boxing team. His incredible knowledge of the history of martial arts we teach makes Leonard a valuable source of information. An accomplished professional musician, when Leonard turns his hands to martial arts he provides informative and exciting classes for our students. Leonard is a Purple Belt in Brazilian Jiu-Jitsu, having trained under the legendary Rigan Machado, and a Senior Full Instructor in JTX under Patrick Tray. 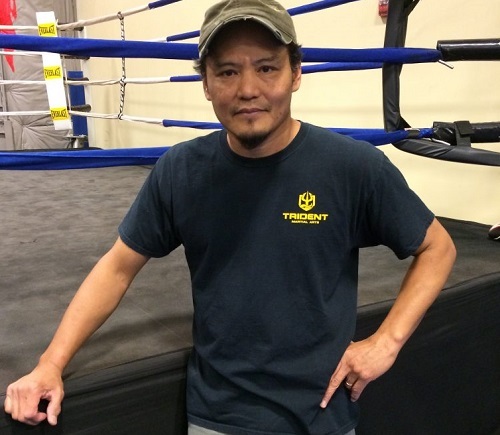 His instructing qualifications include Associate Instructor in Jeet Kune Do and Filipino Martial Arts at the Inosanto Academy; and Full Instructor in Jeet Kune Do, Filipino Marital Arts and the Total Defense System at the Trident Academy under Patrick Tray. He is also an instructor in Tai Chi Tan long form.